This model is designed to have the keys directly mounted onto the ring provided. 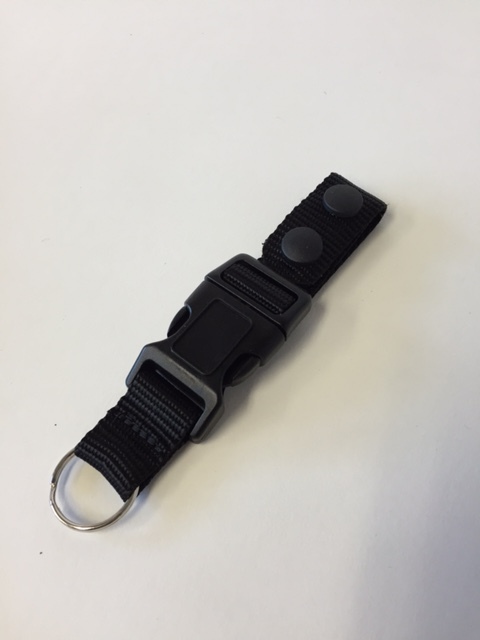 The ring itself detaches from the loop via a plastic buckle system. The belt loop itself has Velcro mounted on the rear to mount the loop in place on the duty belt.